Despite originally promising that the new Nintendo 3DS eShop would arrive at the same time as the console's launch in March, Nintendo has now delayed the launch of the new game download store till May. Nintendo president Satoru Iwata has now confirmed that the 3DS eShop will be arriving this coming May, despite earlier promises from a Nintendo UK spokesperson promising that the download store would arrive on March 25. Iwata was speaking on an investor call last week, confirming that the 3DS download shop would be provided by a firmware service arriving late May 2011, "at almost the same time around the world." Nintendo's new eShop will offer DSiWare, Game Boy, Game Boy Advance and 3DS-exclusive games and demos. Nintendo will also introduce a new web browser and a means of transferring your current DSiWare purchases to your new 3DS this coming May. Iwata accepted that to date: "Wii Shop Channel and Nintendo DSi Shop, which are based on internet-browser technology, have not provided the users with a sufficiently easy and accessible interface because switching from one screen to another takes time. "As it is critical in digital software distribution that the software available there won't be buried and go unnoticed, we will be running a drastically redesigned shop for Nintendo 3DS in which you can more comfortably purchase software through download." 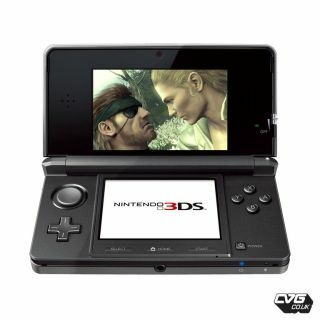 Nintendo 3DS finally arrives in the UK on 25 March.